Two months ago, I wrote about the current flu season. As I said then, "The exact timing and duration of flu seasons can vary, but influenza activity often begins to increase in October, peaking between December and February, although activity can last until as late as May. The bottom line is that we're in the early stages of peak flu season." Well, we know more now, and what we know isn't good. In fact, the current flu epidemic, as widespread as it is, is still growing…rapidly. We're now into March, and it's definitely showing signs of plateauing, but with weeks to go. That's bad! This flu season has seen elevated activity across the country over the past few weeks, with some of the highest hospitalization rates ever recorded. The amount of influenza ravaging the U.S. this year matches levels normally seen when an altogether new virus emerges, running wild through a vulnerable population that hasn't had a chance to develop any defenses. Since H3N2 is not actually a "new" virus, its aggressiveness is an unexpected phenomenon that public health experts are still trying to understand. Despite what Dr. Fauci said, the levels of influenza-like illnesses being reported were, until last week, as high as the peak of the swine flu epidemic in 2009 and exceed the last severe seasonal flu outbreak in 2003 when a new strain started circulating, said Anne Schuchat, the U.S. Centers for Disease Control and Prevention's acting director.3 Swine flu, which swept the globe in 2009 and 2010, sickened 60.8 million Americans, hospitalized 274,304 and killed 12,469, according to CDC data. Worryingly, the rate of hospitalizations this year is the highest the CDC has ever recorded at this point in the U.S. flu season--higher than during the Swine flu outbreak. Deaths from the current outbreak will likely far outstrip those of the 2009-2010 season. The one positive is that according to the CDC updates released on Feb 23rd, the rate at which people visited doctors for flu-like illness finally showed signs of dropping after reaching peaks, as we mentioned above, not seen since the swine flu pandemic of 2009. Such visits made up 6.4% of trips to doctors, down slightly from 7.7% just a couple of weeks before--but well above the national baseline of 2.2%. If the rates continue to drop in the weeks moving forward, that would be a good thing. Keep in mind that even in a mild year, flu kills an average of 12,000 Americans. This year, though, is not a mild year. The total death count may well surpass the 56,000 recorded in 2014-2015. Keep in mind that even in a mild year, flu kills an average of 12,000 Americans. This year, though, is not a mild year. The total death count may well surpass the 56,000 recorded in 2014-2015. (Note: the CDC now likes to list annual flu deaths as a range: from 12,000 deaths (as seen during the 2011-2012 season) to 56,000 deaths (as seen during the 2012-2013 season). Over 80 percent of deaths usually occur among the elderly and people with underlying health problems. This year, however, younger and seemingly healthier people are also being hospitalized at rates far higher than the historical average, and 114 children have died as of Feb 24th.5 But that number will continue to climb in the next few weeks. The question is: by how much at season's end? Keep in mind that deaths from influenza and pneumonia are closely tied to each other during flu season. Taken together, they were responsible for 1 of every 10 deaths in the last week of January. Specifically, according to the CDC data, there were 40,414 deaths total in the U.S. during the third week of 2018, and 4,064 of those were from pneumonia or influenza. But it gets worse. That 4,054 number is expected to rise substantially as more data becomes available. When talking about deaths from flu, it is important to understand that the CDC does not accurately know how many deaths are caused overall from the seasonal flu because, among other reasons, flu-related deaths happen a few weeks after someone is infected and are often caused by a secondary illness or a pre-existing condition. Also, the death toll has grown even higher during the weeks of February because flu activity has continued to rise--and the number of deaths, for obvious reasons, tracks flu activity. Hospitalization rates, as we mentioned, are already approaching total numbers seen over the course of an entire flu season, which, this year, may not be for a number of weeks yet. Incidentally, the CDC estimates that between 291,000 to 646,000 people worldwide die from seasonal influenza-related respiratory illnesses each year.6 Surprisingly, according to the World Health Organization, although influenza activity remains high in the temperate zone of the northern hemisphere, at least for now, the majority of countries which are in the influenza season are reporting only moderate levels of the flu versus previous years.7 In other words, the severity of the outbreak in the U.S. seems to be an outlier when compared to the rest of the world. Which brings us to the flu vaccine. On February 15th, the CDC posted its estimate as to the efficacy of the 2017-2018 flu vaccine.8 Depending on whether you're a glass-half-empty or glass-half-full kind of person, the flu vaccine is either doing a very poor job protecting older Americans and others from the flu--or working better than doctors feared it would based on results seen in Australia and Canada. Overall, if you believe the CDC's numbers, this year's vaccine is 36 percent effective, meaning it's reducing the number of doctor visits by 36 percent. To quote from the CDC report, "Early estimates indicate that influenza vaccines have reduced the risk of medically attended influenza-related illness by about one-third in vaccinated persons so far this season." Breaking that down, most flu illnesses this winter have been caused by the A H3N2 virus. While the vaccine has been only 25 percent effective against that particular strain, according to CDC estimates (and remember, these are only estimates), the vaccine has provided 59 percent protection against H3N2 in children 8 and younger. Average that out, and you have a vaccine that seems to be 36 percent effective in the U.S. Overall, 36 percent is better than was indicated in the initial reports from Australia and Canada. Studies in those two countries showed the vaccine only prevented 10 percent or 17 percent respectively of H3N2 cases. That said, the glass-half-empty news is that the vaccine has been pretty much ineffective for older people. The hospitalization rate was highest among persons aged ≥65 years, who accounted for 59% of reported influenza-associated hospitalizations.9 Age both weakens the immune system and lessens its ability to respond fully to the stimulation provided by vaccination. Or to put it another way: those who need it the most benefit the least. Guess what. It's possible to get the flu more than once a season.10 Just because you get the flu, doesn't mean you won't catch a different version of the flu a few weeks down the road. Dr. Eden Wells, chief medical executive for the Michigan Department of Health & Human Services, said every flu season, there are multiple strains that circulate and usually at different times. "The really common strain causing problems this season is Influenza A/H3[N2]. Usually about this time, we start seeing the other strains show up." This year, those strains include A (H1N1), Influenza B (several strains), not to mention mutations of H3 (which are different enough to be considered different viruses by your immune system). As these strains continue to spread, unlucky patients who have already been hit by the flu may catch another wave--and die from it. Let's deal with those one at a time. As we mentioned previously, when talking about deaths from flu, it is important to understand that the CDC does not accurately know how many deaths are caused overall from the seasonal flu because, among other reasons, flu-related deaths happen a few weeks after someone is infected and are often caused by a secondary illness or a pre-existing condition. The CDC, therefore, prefers listing deaths as a range, not an absolute number. The problem comes from the mainstream media, which doesn't find subtlety very useful when creating headlines to sell the story. Therefore, in their headlines, instead of listing the CDC range, they will often list only the highest, most dramatic number. In most years, that can be misleading. But when talking about this year's outbreak, is it? Probably not. This year, we really are looking at the higher end of the range in the US. How many people have you seen at work come down with the flu? How does that compare with previous years? Have you been to the doctor's office? If so, how many people in the office were there for the flu? Do you personally know of someone, or does someone you know know of someone, who has died or is near death from the flu this year? I know what I've seen and heard from those I talk to in terms of those questions. And the answers they've given me indicate that we're in the midst of a very bad flu season. And no, the deaths are not being exaggerated. I've discussed this before. The flu vaccine is less effective than promised, but it does work to "some" degree. It prevents the flu for "some" people--although that number is not especially high this year. As one might expect from a vaccine with a 10-39% effectiveness, many people who have been vaccinated have already come down with the flu--with more to come. However, there is "some" evidence--although it is far from overwhelming--that vaccination, even if it can't prevent the flu, can reduce the severity of the symptoms if you do get it. That said, as we've already discussed, its efficacy for those over 65 is far less than for the population as a whole. The bottom line, though, is that although the flu vaccine is not that effective--especially this year--it is not useless, at least for anyone under the age of 65. As I've discussed previously, the flu vaccine consistently tops the National Vaccine Injury Compensation Program's (NVICP) list of claims made and paid out for injuries and deaths resulting from the side effects of vaccination.12 And most of those flu claims were for Guillain-Barre Syndrome. Guillain-Barre is a nervous system problem. It can cause muscle weakness, reflex loss, and numbness or tingling in parts of your body. It can also lead to paralysis, which is usually---but not always--temporary. Most people, even those with severe cases, do recover eventually. In fact, 85% of people with GBS make a full recovery within 6 to 12 months. Now, to be fair, although complications from flu vaccinations are rare given the number of flu vaccinations administered each year, if you or someone you love is the one who gets injured or dies, then rarity is probably not a mitigating factor in your mind. Incidentally, total compensation paid out over the life of the program is about $3.6 billion.13 That's a lot of serious side effects. It should also be noted that these numbers probably represent just the tip of the proverbial iceberg. What percentage of families that are harmed by the flu vaccine are even aware that there is a National Vaccine Injury Compensation Program? And of those who are aware, what percentage marshal up the resources and energy to file? I'm guessing both numbers are very small. And on top of that, only around 50% of all claims are awarded. The bottom line is that it is highly likely that the number of people harmed by flu vaccination is several multiples higher than the 42 per calendar quarter we see in the DOJ report. Add to that the number of people harmed in all the countries outside of the US where there is no compensation fund--and thus no incentive to file a claim--and the numbers are likely quite unsettling. And yet, the numbers of those who are harmed by the vaccination do not compare to the numbers of those who die from the flu every year--let alone the vastly larger number of people who end up in the hospital. But remember, the fact that the flu vaccine is so often ineffective moves those numbers a bit closer. Now, add in the fact that although the odds of a bad reaction to any one vaccination may be low, the more times you're vaccinated the worse your odds get. Stand on a battlefield long enough and eventually you're going to be hit by a stray bullet. The medical community never mentions this when they talk about getting a yearly flu vaccine. They present the odds as if you're only getting one flu vaccination in your life. That's disingenuous. The bottom line is that the case for either getting the flu vaccine or avoiding it is not clear cut. Don't be bullied by either side of the argument. Look at the information and make your own decision. The case for either getting the flu vaccine or avoiding it is not clear cut. Don’t be bullied by either side of the argument. Look at the information and make your own decision. 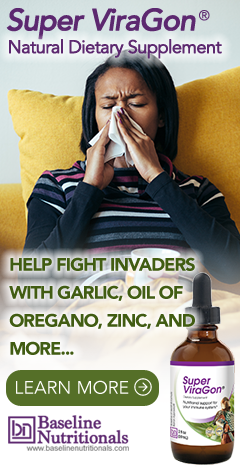 A natural immune enhancing formula to lessen your chances of getting sick in the first place. A strong immune system is still your best bet in avoiding the flu. Not to mention the fact that if you do get vaccinated, the stronger your immune system, the more effective your body's response to the vaccine will be. A good supply of a natural antipathogenic formula to lessen the burden on your immune system if you do come down with the flu. This will drastically reduce your chances of experiencing a cytokine storm, minimize your odds of succumbing to a secondary infection, as well as shorten both the duration and intensity of any flu that you do get--regardless of whether you've been vaccinated. I use Colloidal Silver made with my micro silver generator from www.silveredge.com combined with natural vitamin C, D3, selenium, zinc, and filtered water. The few times I got food poisoning, or upset stomach or maybe the start of the flu I took 8 to 12 ounces of CS over a few hours, with a nap and was all good in 6 to 12 hours. That's quicker & cheaper than seeing a dr. Thank you Mr. E. Ellison for your reply. I will try CS next time I experience food poisoning, upset stomach & esp the Flu. I was unlucky to catch the winter flu in Australia. It took me 2 weeks to eventually get over it using all my herbal supplements and savvy including anti-virals. It is the worst I have experienced and I think anyone who is elderly or already health challenged would be in a bit of trouble. I would like to add to your analysis that people need to be aware of high risk places where they can catch the flu and to take precautions against getting contaminated. I entered a shopping centre eatery where there are plenty of foreign visitors a real hotspot for contracting an illness. The need to keep you hands clean, using wipes or washing or even using a dust face mask would be of benefit even though you may look a little strange but it is better than getting sick. I would avoid known high risk places and people who show sign of illness so that you can lower your own risk and avoid getting sick during peak periods. I also caught the summer flu recently again going to places that are a hotspot and not using wipes or washing my hands in the eatery where the cleanliness of the tables looking clean harbors many bacteria. Because I tend to go to places where I am at risk, and because I am a little careless with washing my hands and using wipes in such places I need to invest in good anti-virals and hope that my immune system is at its best. Nanosol silver (AG4O4) takes CS to a new lever with 4 methods of action distinctly different. Got me over Lyme in days. I meant "level" not "lever"
Very thorough, thank-you for your work, it is a wonderful resource!